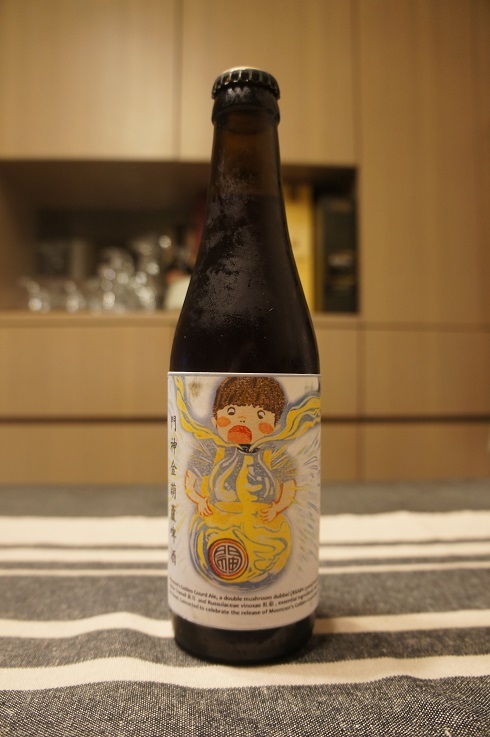 Brewer Description: (from bottle) Moonzen’s Golden Gourd Ale, a double mushroom dubbel (8%ABV, 330ml) brewed with Golden Tremell and Russulaceae vinosae, essential ingredients that nourish the blood. 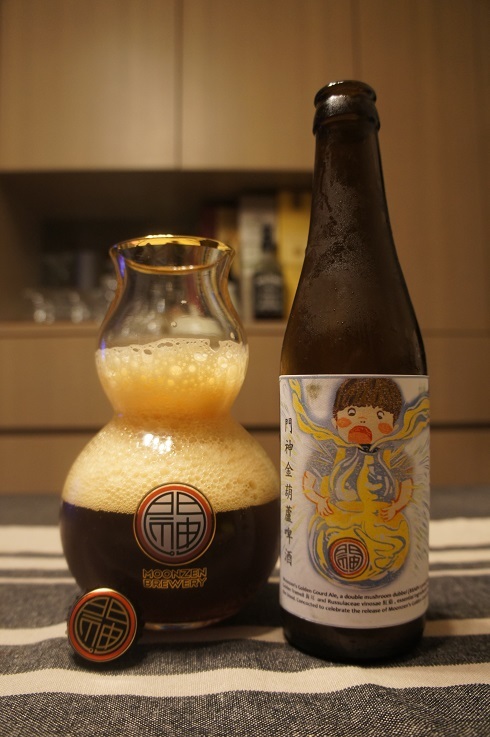 Concocted to celebrate the release of Moonzen’s Golden Gourd beer glass. Intro: A 330ml bottle with no clear bottled on or best before date. Poured into a Moonzen Golden Gourd glass. Appearance: A dark amber red colour with a big three finger tanned head that had good retention while leaving some lacing. Aroma: Dark fruit raisin, plum and prunes with a hint of banana and toffee in the background. Taste: Some prunes to start but it goes away real quick to be replaced by watered down plum and dates before a finish of light savoury mushrooms, which I was not expecting. Mouthfeel: Creamy, medium to light bodied with low carbonation. Overall: This one was strange for me. The aroma of lots of dark fruits was actually great, but the flavours didn’t match up to the aroma and disappeared quickly. Everything was just kind of abrupt. All that said, I do really like the design of the Golden Gourd beer glass.